Do people really know and understand the complexity of drug development? Do people even know what CMC stands for? People are on their lives’ journey going through their everyday motions doing their thing. They get up in the morning and get ready for their day, whatever that may entail. Wham! In the middle of their day, they are stricken with a severe headache. No problem, perhaps they reach for Tylenol to get some pain relief. As people have a life journey, Tylenol represents a pharmaceutical life’s journey in drug development. Why should the public be able to trust that their safety is not in jeopardy when they open a tamper-resistant container closure and take a prescription or OTC medication as described on the label from CVS? 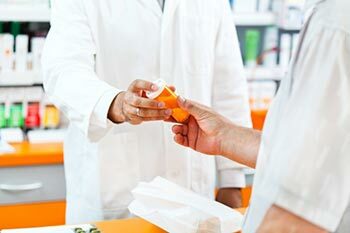 All medications whether prescription or OTC, are subject to the strict requirements of regulatory health agencies both here in the US and globally. Pharmaceutical companies developing new chemical entities, NCEs, must implement and submit chemistry, manufacturing and controls (CMC), to be assessed and approved prior for use in humans. Yes, I said it . . . the CMC. The regulatory health agencies assess each NCE for the entirety and completeness of the drug’s “CMC package” based on the drug’s investigational clinical phase. The CMC package assessment is all encompassing from the control of raw materials and critical process components that go into making a quality drug product to the analytical testing that is involved for the ID and release of incoming raw materials, in-process control testing, and the quality release and stability of both the drug substance & drug product. One of the most important aspects of CMC that I have learned over seven years leading a CMC team in the pharmaceutical industry, is the criticality of allowing your analytical team the proper time to develop and pre-validate the HPLC analytical method that is going to be used to evaluate the quality and stability of both the drug substance and drug product of the NCE candidate. I encourage anyone to abandon a bare minimum approach and make certain at the minimum, the HPLC analytical method is subjected to a pre-validation study that includes sample and working standard solution stability, accuracy, linearity, precision, and specificity that includes a forced degradation study. If corners are cut, it will definitely cost you more time and money. One last piece of advice: even when you think a project may be shelved, summarize the HPCL analytical method validation data into a final report with a quality assurance signoff. It is much easier to execute a method transfer with a summarized HPLC analytical pre-validation report rather than a package of signed and reviewed notebook pages and raw data that is shadowed with uncertainty that a representative from quality assurance ever reviewed the data. Remember to record and date everything! According to QA, if you didn’t write it down, it didn’t happen! Try to adopt good documentation practices early on in your drug development, it defines the development trail of your NCE and keeps QA happy. Know that a CMC team is comprised of a cross-functional team. It’s critical that the cross-functional team learns to work together seamlessly and keep an open line of communication. This will achieve synchronicity of the CMC moving parts to meet your company’s goals and objectives to deliver quality GMP products for the clinic.